Welcome to the February Edition of The 12 Kits of Holidays, the group is shifting back to Christmas this month for our theme. 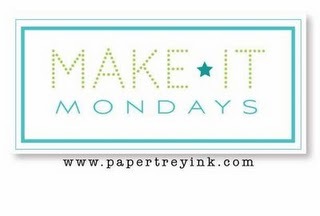 The hostess of our amazing kit this month was brought to us by Renee of It's a Patchwork Life. Renee's took the theme one step further and introduced it as a Country Christmas. 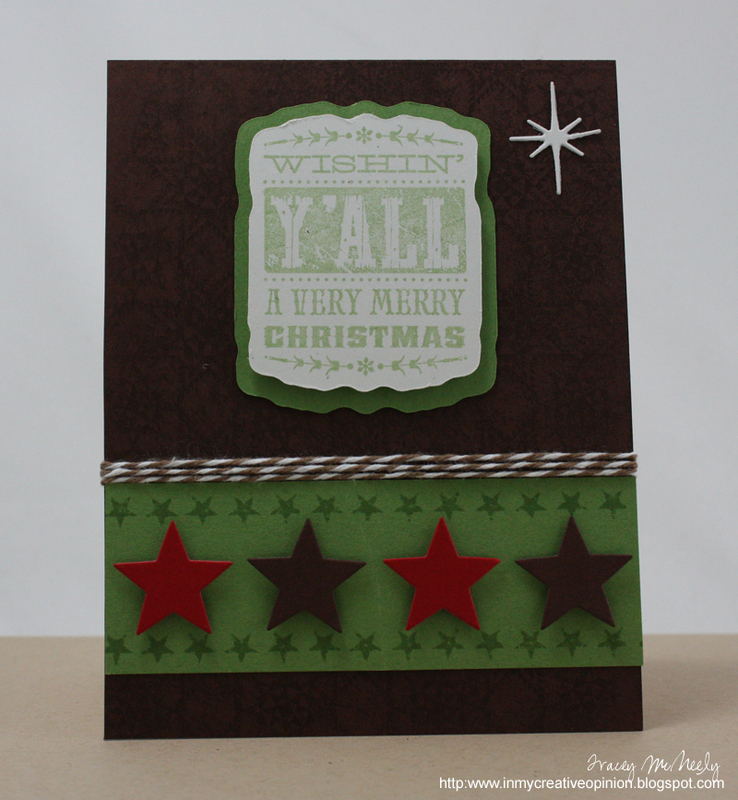 Can you see that gorgeous background stamped onto the brown cardstock it adds so much depth to the brown. All of my elements are popped up. My second card I had a lot of fun with. 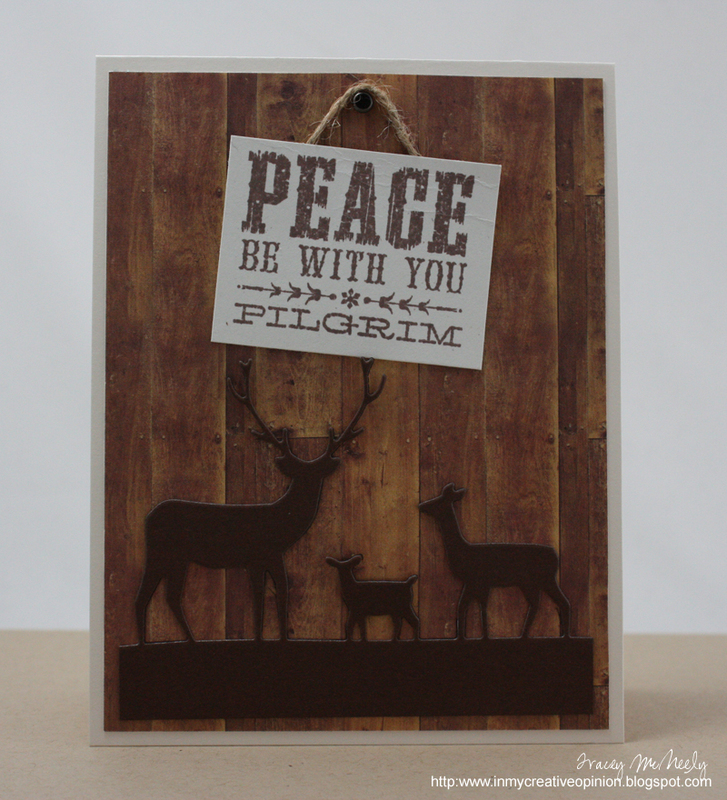 I fell in love with the Deer Trio die from memory box and knew right way it needed to go with the wood plank paper. 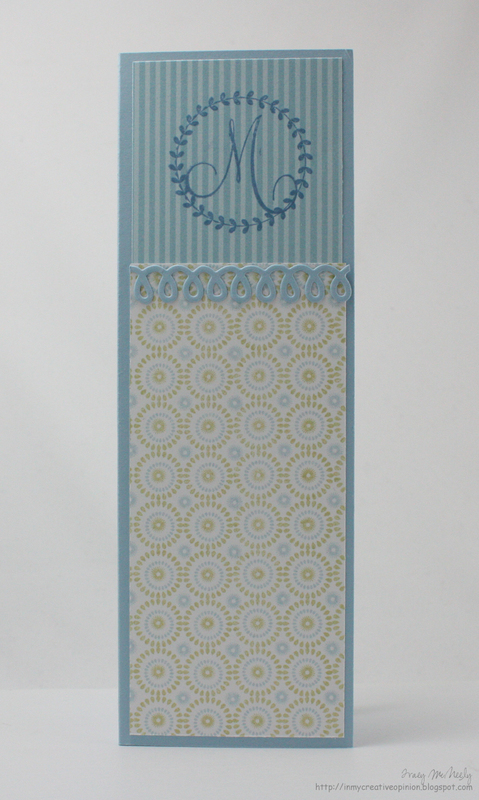 The fun part was creating a cute little wall hanging with a jute hanger. 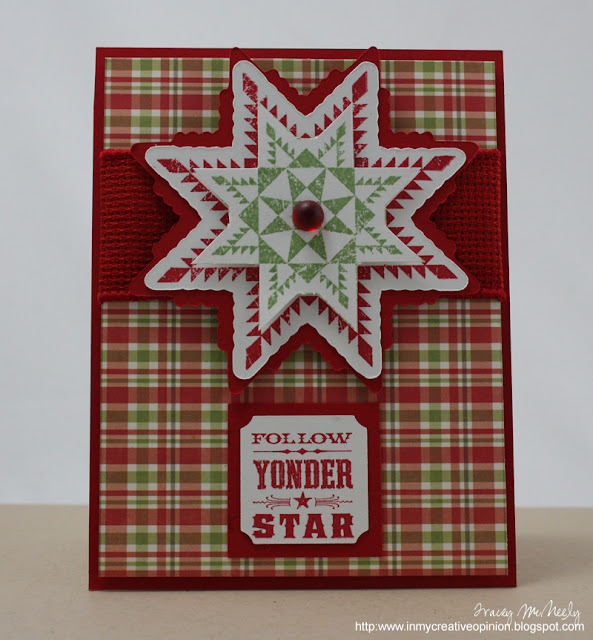 For my next card I used a red and green stamped die cut star and I cut the green smaller and popped it on the red then topped it with a gumdrop. 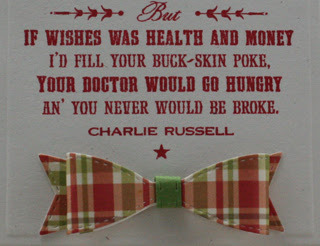 Also note that gorgeous red burlap ribbon. Next I created a sweet little card with an adorable plaid mini bow. Please take the time to go have a look at what the rest of the group has to inspire you. Have a great day and we will see you next month for the 12 Kits of Holidays when I be hopping in as your hostess! 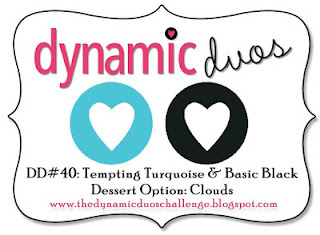 I found the colours at Dynamic Duos challenging this week. 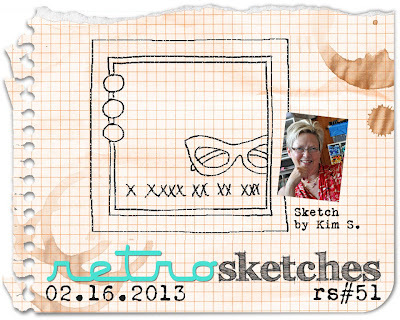 When I stopped over-thinking it and grabbed a sketch from this week's RetroSketches challenge my card came together quickly in a very CAS way. 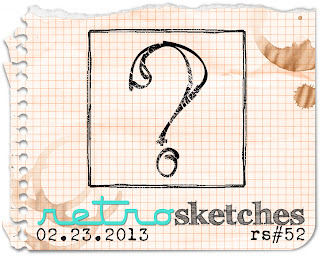 This week is the 52nd challenge at RetroSketches! Wow a whole year and this week's challenge was to pick any sketch from the 1st year to create a project. I am also submitting this to Simon Says Stamps Anything Goes. This is my second post for today, if you are looking for the colourQ scroll down. 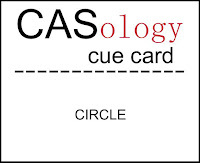 This post is for the CASology weekly Cue Card challenge. 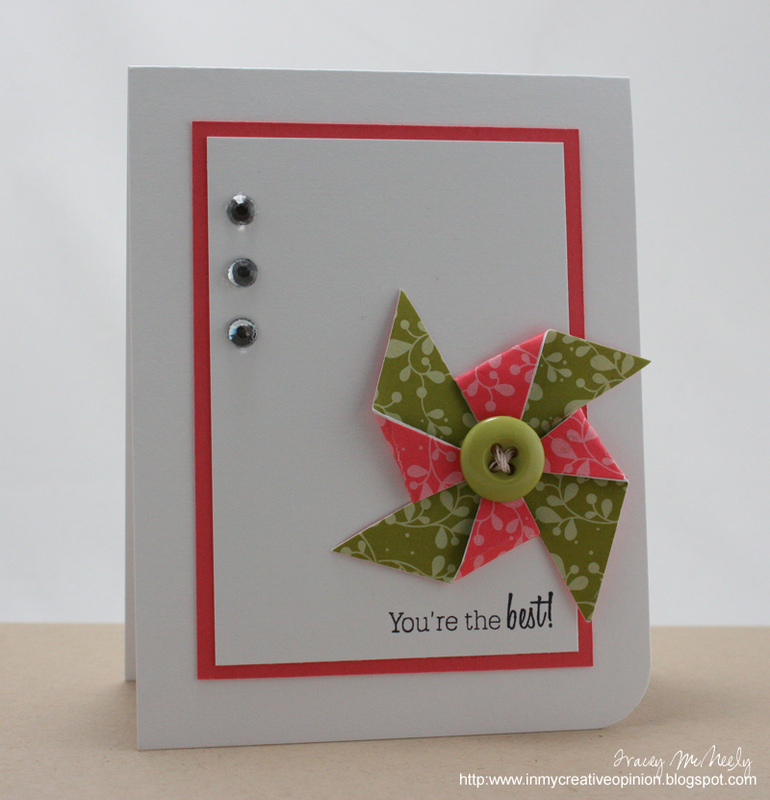 I decided to go with buttons for my card this week but made my own buttons and then combined with Papertrey's Ink's Everyday Button Bits stamp set. I haven't had this one out in a while. 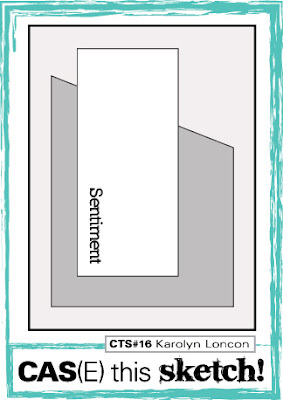 You can create a scene on a CAS card, but by creating a smaller one, you can keep the CAS design without cluttering the card. I can't wait to see what CIRCLE means to you! 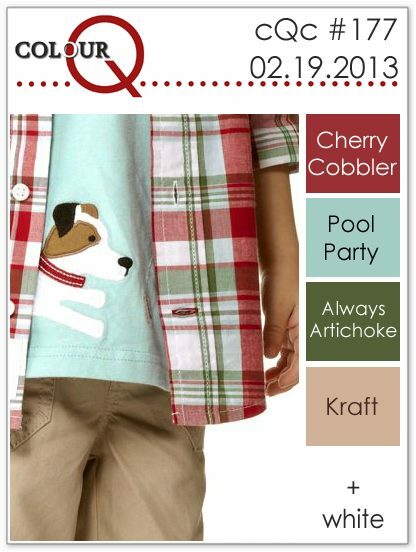 Happy Tuesday and time for this week's colourQ palette. It is definitely spring to me. 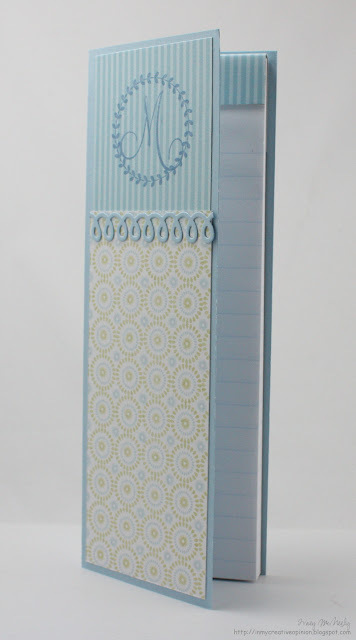 If I haven't told you already I just LOVE the Papertrey Ink Fancy Folk Art stamp set. Yes I have been using it a lot lately but I keep trying new ways to use it. This week for my card I stamped the stem and then stamped the flowers and coloured them in with Copic markers then adhered them with a bit of dimension. The difference between Copic B41 and B45 was not dramatic so by going back over the areas coloured with B45 a second time it gave the colour more depth. 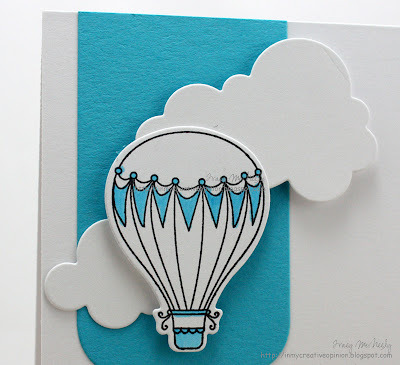 February 25th today and time for this month's Papertrey Ink Blog Hop. There are two things in our house that keep things running. 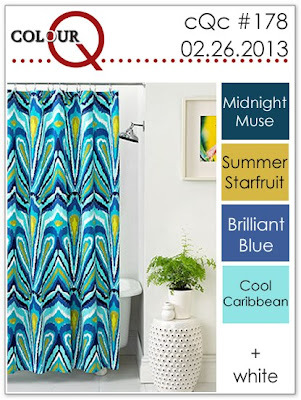 One is the Mother Word fridge calendar that every appointment and activity is written on for the whole family and the other is the ever growing grocery list. Oh and making dinners, cooking, laundry, cleaning and pretty much everything else. So for this month's Papertrey Ink Blog Hop I made a new monogrammed grocery notepad. I used the M of "Merci" from Think Big Favorites #3 and masked off the 'erci' for my monogram. I hope you are not getting sick of me using Background Basics Medallion so often, but it really is a stamp set that has so many possibilities. I love how every colour combination has a different effect. 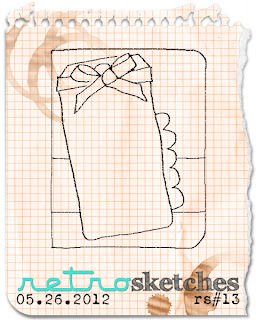 I have a card to share for this week's CAS(E) the Sketch and for the most recent Squeeze-a-Palooza challenges. 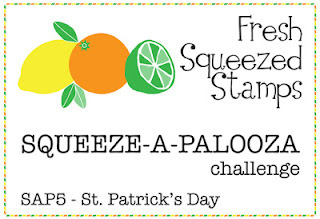 I created my background by clear embossing chevrons on New Leaf cardstock and my images are the free digis provided by Fresh Squeezed Stamps for this challenge. Sharing a card I did for this week's CAS-ual Fridays challenge. I apologize for the poor photography, but my light box was not co-operating with the embossing tonight. 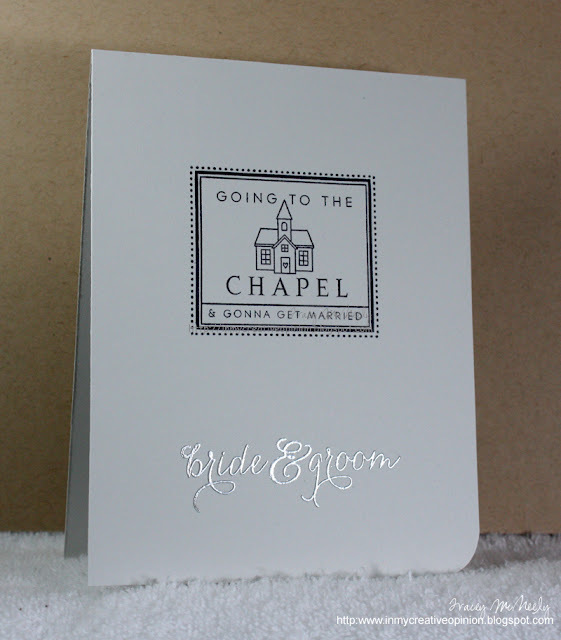 A simple modern wedding card on Soft Stone paper and embossing with silver. 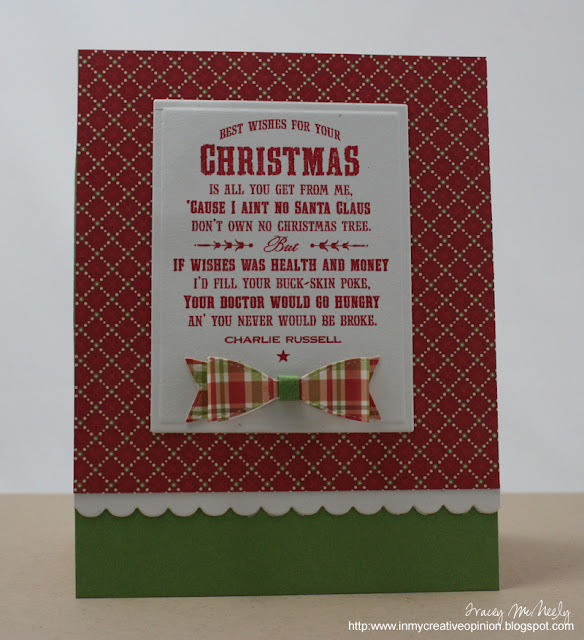 Merry Christmas and I am posting my card for this week's Merry Monday challenge. 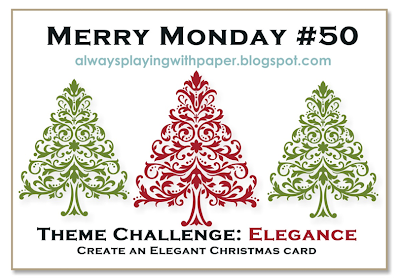 This week the challenge is to create an elegant Christmas card. 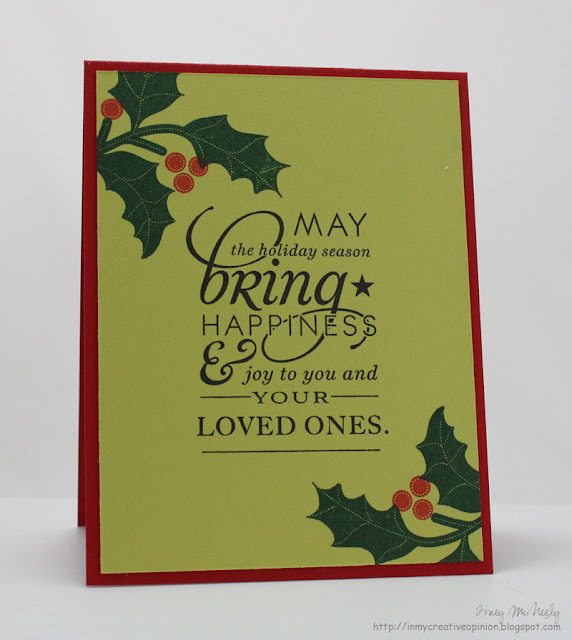 I just love the Mistletoe & Holly stamp set from Papertrey Ink so I paired it up with a beautiful sentiment for my version of an elegant Christmas card. 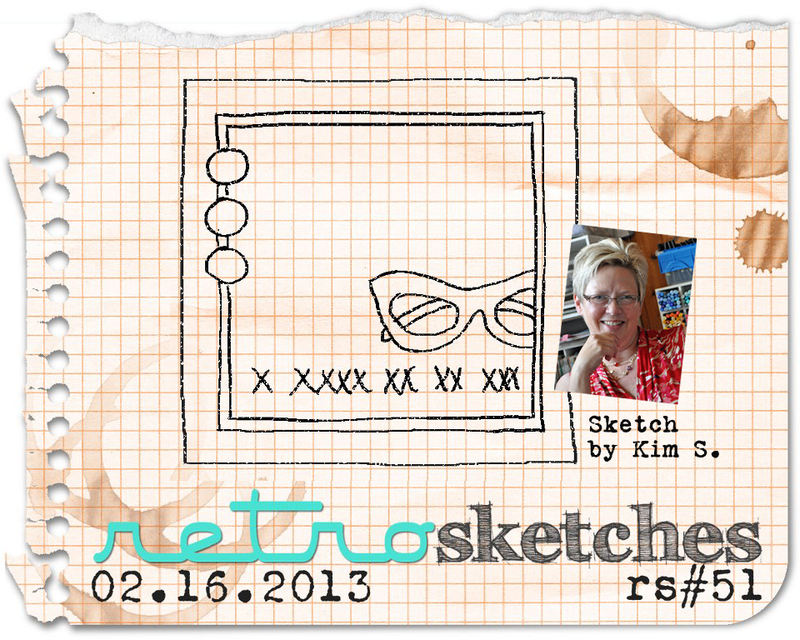 Sharing a card for this week's RetroSketches challenge using the technique from this week's Make It Monday. The pinwheeels are surprisingly easy to make. It has been a funny week, I have been feeling like I am running to catch something but can't quite make it there. 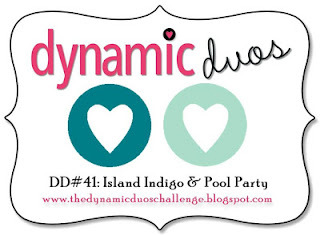 I had my plan for this week's Dynamic Duos and CAS-ual Fridays challenge, I planned out ahead of time but here I am posting near the deadline for Dynamic Duos and I missed CAS-ual Fridays by 5 minutes. After the morning I had today it is no wonder. Can you guess what this week's CASology Cue Card might be? Certainly something to warm you up. 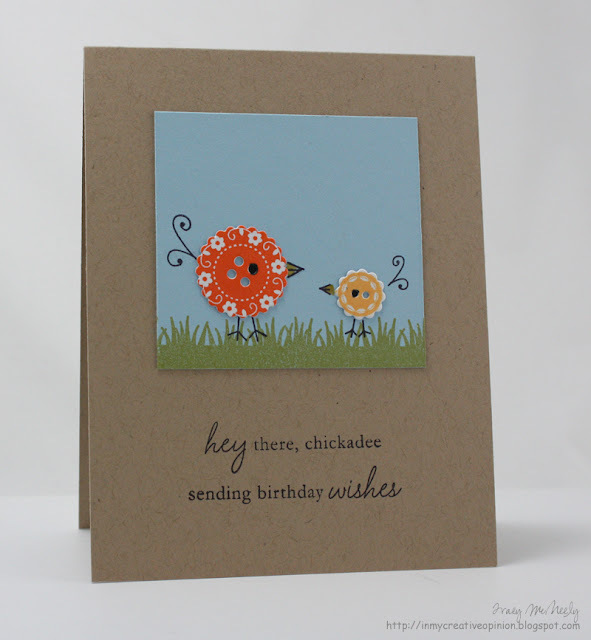 For my card this week I used Little Bear from Neat & Tangled for my image and Lighten Up from Papertrey for my sentiment. 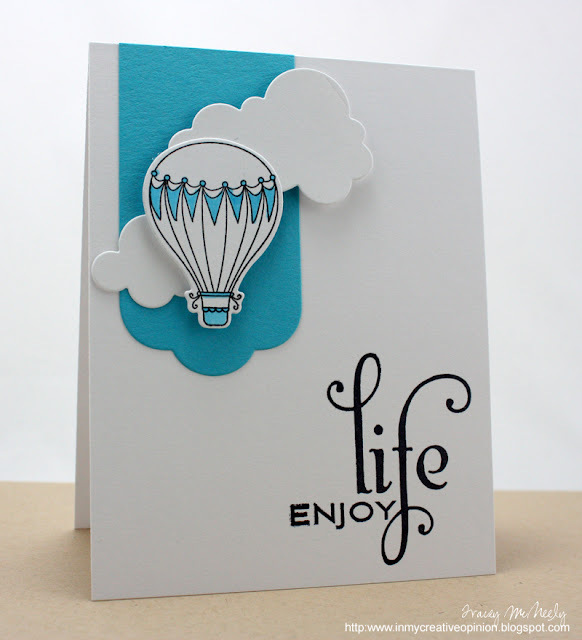 I stamped and coloured on a panel that is the same colour as my base. Then to add interest to my design because both my image and sentiment are small, I embossed the panel. I think the woodgrain embossing works well with my theme. 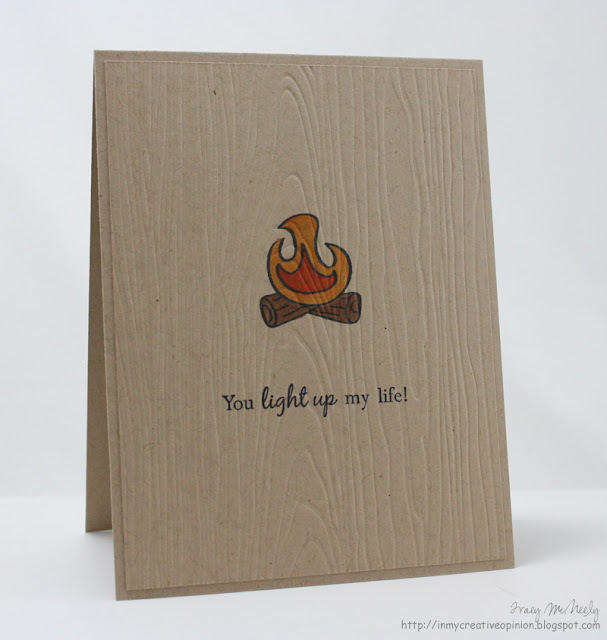 I can't wait to see what FLAME means to you! I hope that everybody enjoyed there long weekend. We had a four day weekend as the kids had Friday off of school as well as Family Day yesterday. Time for this weeks colourQ palette and I think you are going to love the colours. 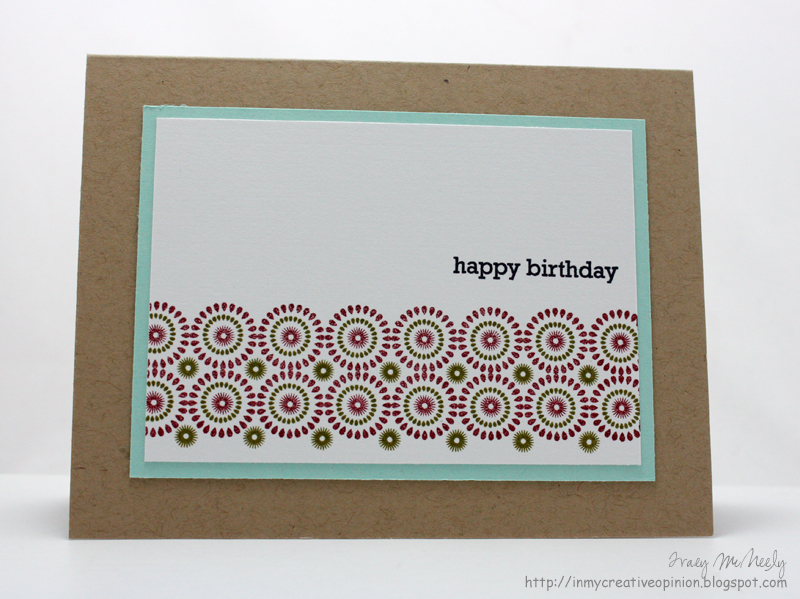 I used Papertrey's Background Basics Medallion for my card because I love how beautifully it always blends two colours together. 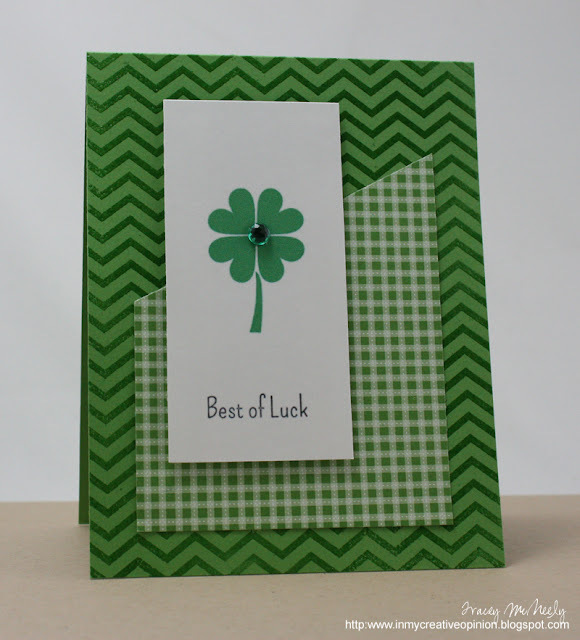 A simple design this week that could be used for either a masculine or feminine card. It's February 17th and time for this month's Waltzingmouse Blog Party! 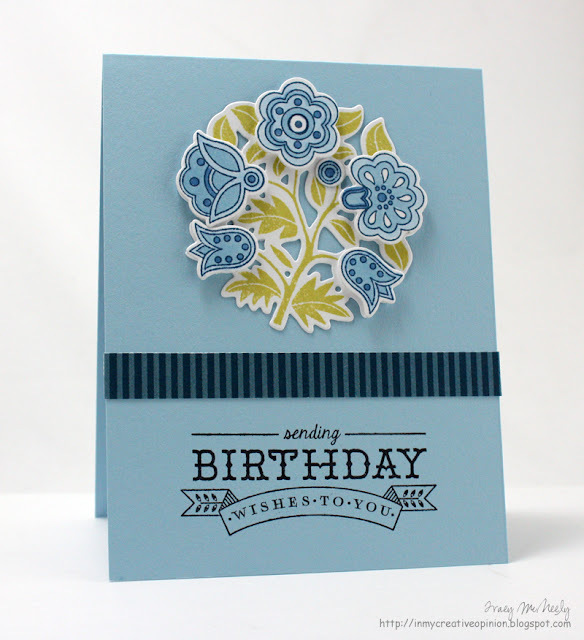 This month the theme is doilies and I am very excited to share a doily that I made using my Cameo. 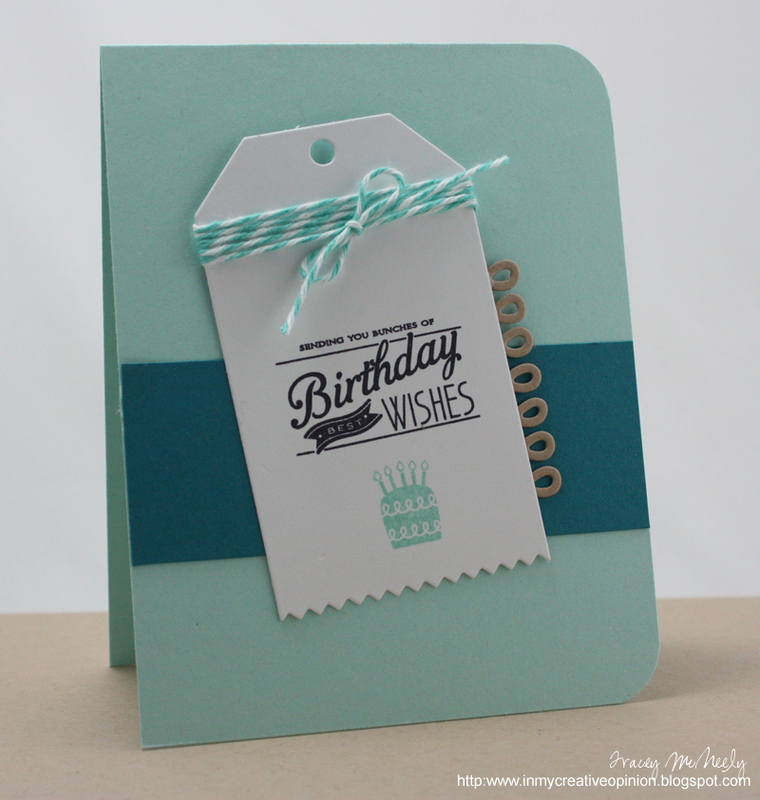 I have never really been a fan of Papertrey Ink's Ocean Tides as a colour, but I have been using it quite a bit lately and I can't seem to get enough of it! For my card I stamped my background using Waltzingmouse's Woodgrain I just love the texture it adds. 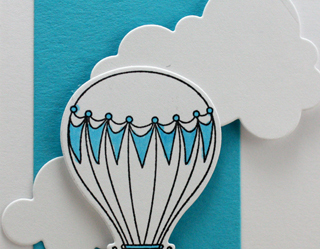 I die cut a heart from the My Heart cut files and stamped the corresponding image in Ocean Tides. A strip of paper stamped again with Ocean Tides and letters from Woodenheart Alphabet in Dark Chocolate was added to the bottom The card was finished off with a button tied with a jute bow.